The hearing highlighted the differences between the Obama and Trump administrations’ policies and approach towards Israel. The Taylor Force Act, which was introduced by Senators Lindsey Graham (R-SC), Dan Coats (R-IN), and Roy Blunt (R-MO) in 2016, was named after a U.S. Army veteran who was killed by a Palestinian terrorist that same year. The PA currently pays 26,800 families of “Martyrs” $183 million (NIS 660 million) annually, and 6,500 terrorist prisoners reportedly receive $135 million (NIS 486 million) per year. If passed, the Taylor Act would require the U.S. secretary of state to verify that the PA has ended its payments to terrorists and their kin and would also require the PA to publicly condemn terrorist attacks and take steps to bring these perpetrators to justice. On Tuesday, the Israel Electricity Company (IEC) and PA signed their first commercial agreement in which Israel granted them with a new power plant. In response to the CIS letter, a group of 13 retired security officials wrote a joint op-ed in the Jerusalem Post, noting that the group “are fundamentally mistaken” in opposing America’s efforts to punish the PA for its support and enabling of terror.” It is indeed difficult to comprehend how a group that calls itself ‘Commanders for Israel’s Security’ opposes taking steps against a policy that directly and acutely endangers the security of Israel,” they wrote. The testimonies of Abrams and Shapiro highlighted the underlying differences between the Obama and Trump administrations regarding Israel and the Middle East. 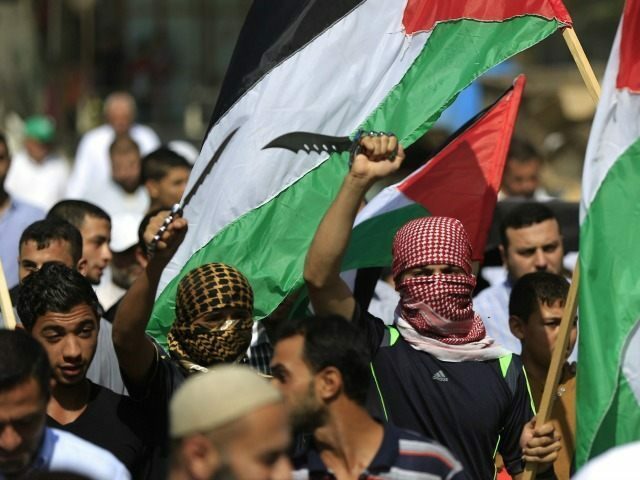 In May, the senators wrote a letter to President Donald Trump urging him to demand that PA leader Mahmoud Abbas end his government’s years-long practice of rewarding terrorists and their families with compensation for attacks against Israel and its citizens. Last week, Abbas reportedly vowed that he would never stop the “pay for slay” practice. “Even if I will have to leave my position, I will not compromise on the salary (rawatib) of a Martyr (Shahid) or a prisoner, as I am the president of the entire Palestinian people, including the prisoners, the Martyrs, the injured, the expelled and the uprooted,” he said according to a Palestinian Media Watch translation of a quote he wrote on the Fatah’s Facebook page.